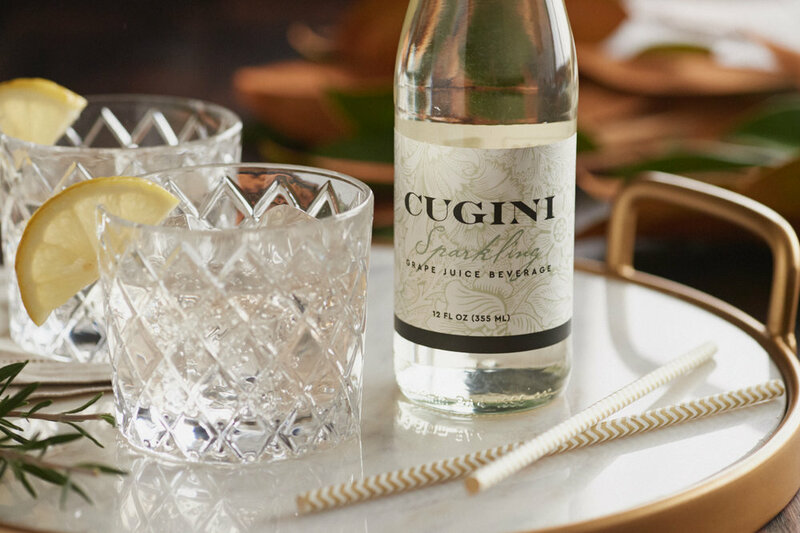 Try Cugini as the base for a festive spritzer. Serve in cocktail glasses with a single block of ice. Put block ice in a cocktail glass. Add a splash of grenadine, a few Amerena cherries or a tablespoon of pomegranate seeds. Pour Cugini over the top. Muddle kumpquats with a squeeze of orange juice. Pour Cugini over the top. Try recipe with slices of Pink Eureka Lemons, sweetened with fresh lemonade. Put block ice in a tall glass. Add the Campari and Cugini.